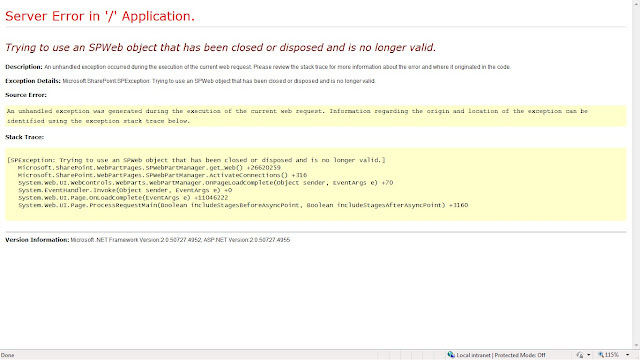 SharePoint Fix: Trying to use an SPWeb object that has been closed or disposed and is no longer valid. 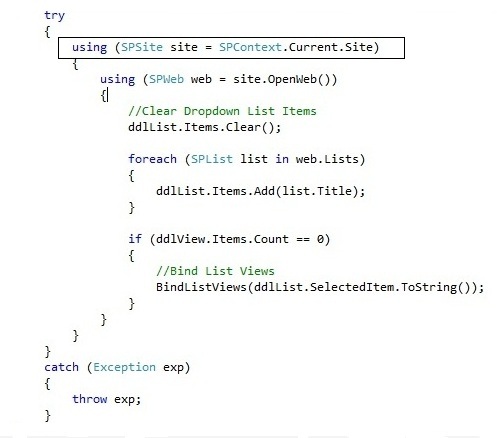 Thats about it, my code started working when I removed the using clause from the SPContext.Current.Site. 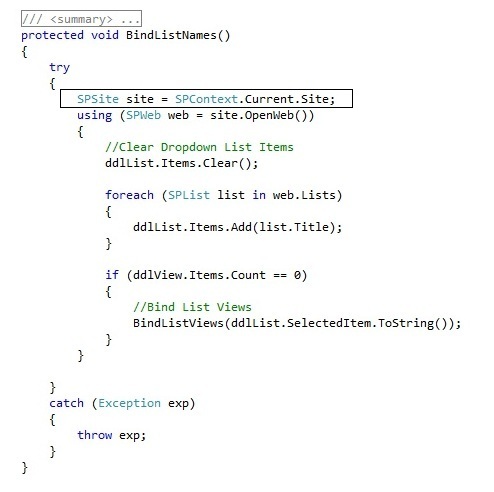 The same thing is true when you try to either explicitly/implicitly Dispose the SPContext.Current.Web object. So moral of the story never dispose SPContext objects either implicitly leveraging the using clause or explicitly by using Dispose method from in your finally block. ... to you solution and shame on Sharepoint. Your solution worked for me, thanks!